Psikyo's shmups are a bit of an enigma. They're generally competent, if rather bland and uninventive, with little that makes any of them stand out apart from the others. Despite that, several of them were quite popular and grew into small franchises. 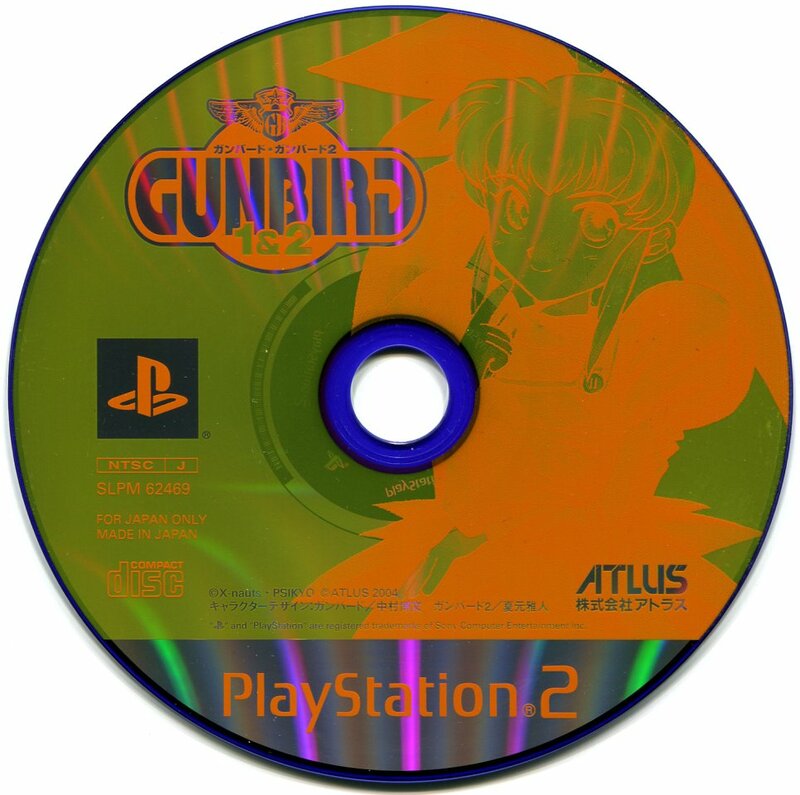 One was Sengoku Ace, and another is this one here, Gunbird. 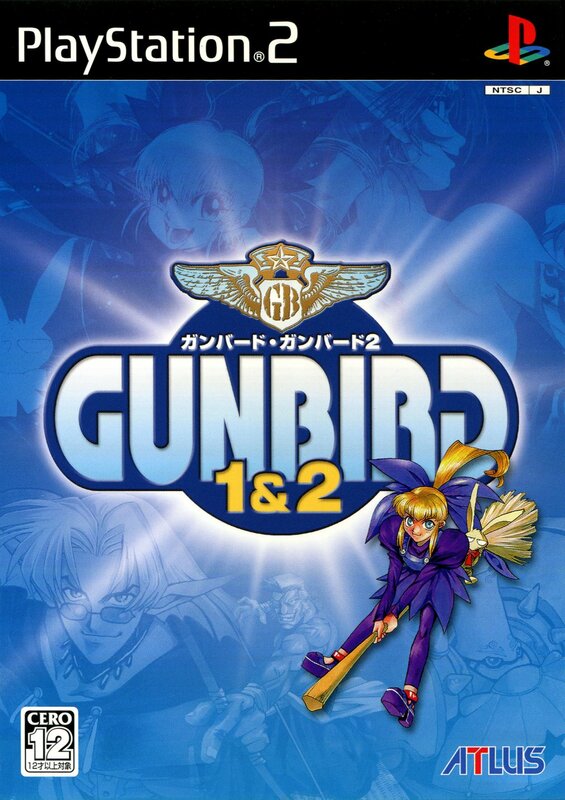 Both games are decent if barebones ports from their respective arcade editions. They're slightly-goofy, vaguely-steampunk vertical shmups in the tradition of Raiden, with little to change things up in any meaningful way. Not offensively bad, just... kind of there. 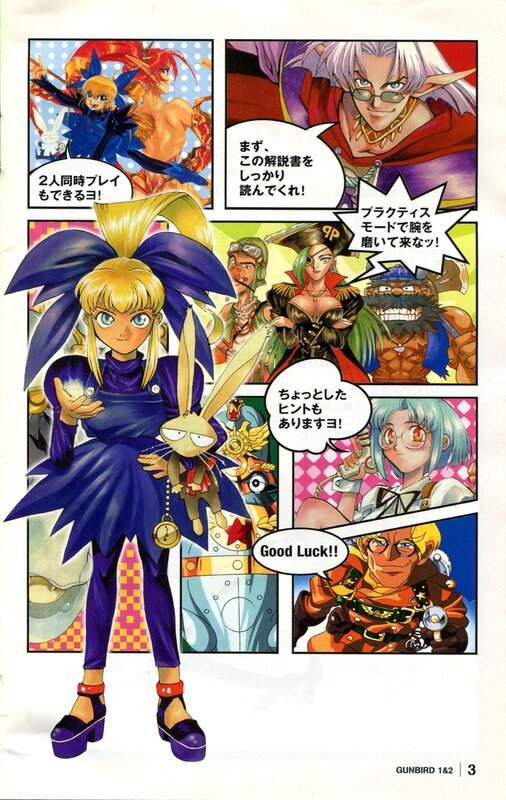 Psikyo was well-known for hiring well-known illustrators to design their characters and provide promo art, and this is no exception. 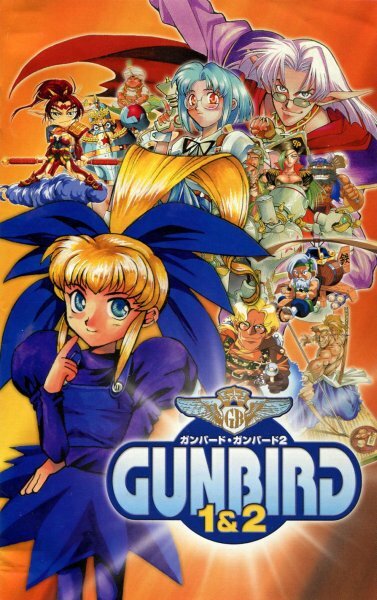 Gunbird features Hirofumi Nakamura (Hourai Gakuen and Psikyo's own Sengoku Ace), while Gunbird 2 tapped Masato Natsumoto (lots of Lodoss War and Gundam manga) -- smaller names than on some of their other titles, but they still turned in some decent work. Both games in this pack actually saw US releases on other platforms. Gunbird 2 saw a quality Dreamcast release courtesy of Capcom, including Morrigan from Darkstalkers as a bonus character. 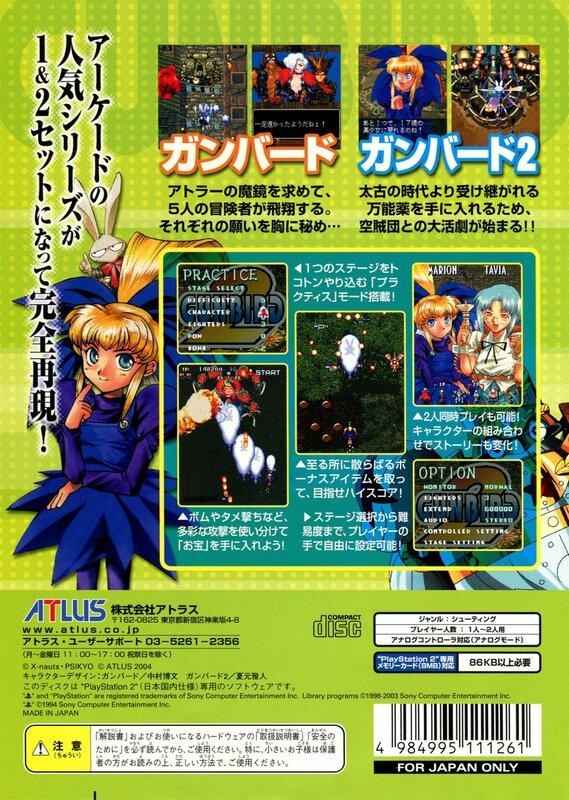 The first game, however, wound up butchered almost beyond recognition by XS Games as Mobile Light Force. They took out all the story scenes and bonus artwork, and changed the character names to staff names and stupid jokes. Not even Working Designs ever pulled stunts like that.